Story time: A few weeks ago I played a short set at a musical house party in Seattle’s Wallingford neighborhood. It was a great night with a lot of really nice and fun people (not to mention the made-to-order crepes) and after sets by Chicago buddy Emily Claire Palmer and myself, everyone was just hanging out and jamming it up. At some point there was a momentarily lull, and before I knew it the host was making an announcement that some acoustic band had just shown up and was going to do a short, unplanned set. None of us had any idea what to expect, and all of us were absolutely blown away by what happened next. 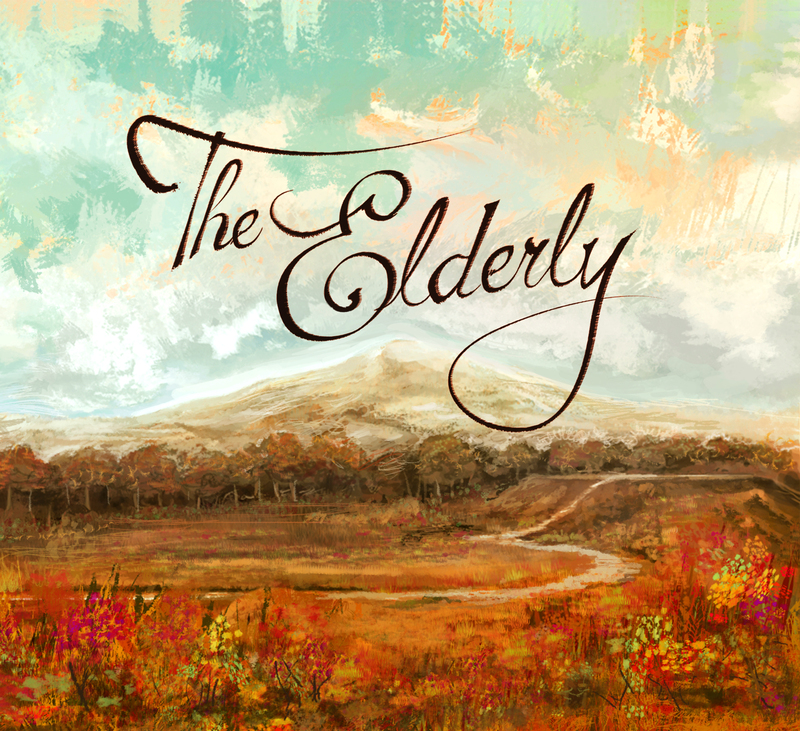 This was my first experience with a new Seattle band called The Elderly. It only took a minute or so of their gorgeous three-part harmonies and heartfelt delivery to make the room completely silent. None of us wanted to miss anything or spoil the powerful vibe they had suddenly created. The power to capture the attention of a room is rare – especially with more quiet, delicate music. 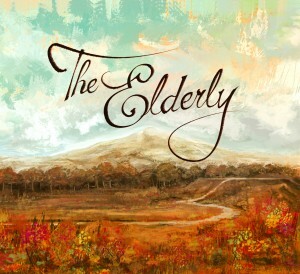 The Elderly has that power and is only beginning to learn how to wield it. A couple weeks later I had the pleasure of sitting down with William, Whitney, and Ian to learn much more about them, plus pick their brains on my favorite themes of beginnings, transitions, and music community. This was a much different interview than any I have done so far, as this band is really just beginning. I feel like I’m in on an exciting new secret… but I’ll do my best not to be a hipster about it! Anyhow, here are a couple of my favorite excerpts followed by mp3s of the full interview. I’ve also added my favorite song from the upcoming EP, “Mice,” to the Mid By Northwest Pop-Up Radio Player. I highly recommend listening to that track before reading on – it really sets the tone for this band, these people, and everything we talked about. Plus, look for a full review of their self-titled EP here on the blog soon enough. 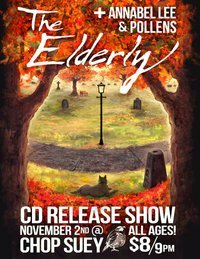 The Elderly will be releasing their debut, self-titled EP on Tuesday, November 2 at Chop Suey in Capitol Hill. 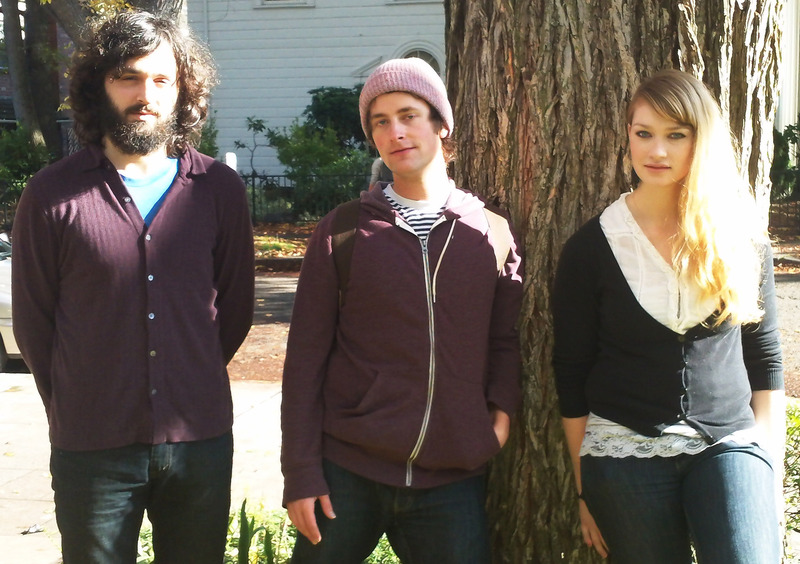 The show is All Ages, costs $8, and starts at 9pm with Annabel Lee and Pollens opening. Great interview and review. As the host of that party, I have to say I too was blown away by the quality of that set. I was worried at first that people would quiet down from jam-mode… but basically as soon as they started playing, the room fell SILENT. It was an incredible moment. Just like, pure delicate beauty harmony. Amazing. After they finished, we called for an encore… and got it. An encore at a house party: crazy! So good.